I was so excited to get a new book in the mail, just in time for Christmas! 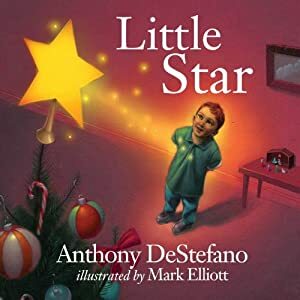 Little Star by Anthony DeStefano did not dissapoint! This sweet story about a special star that gives all he has on the eve that Jesus was born has become a new Christmas tradition in our home. The illustrations by Mark Elliot are fantastic and the book gives new meaning to the star that sits atop your Christmas tree. My two year old loved the book and has asked to read it again several times. You can purchase the book, published by Waterbook Press, on Amazon.com. I've actually found it's hard to get books Alex will stay interested in - thanks for the recommendation.